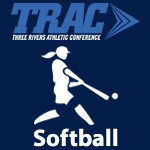 Softball – Page 2 – TRAC Sports – The Official website of the Three Rivers Athletic Conference. 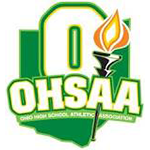 Findlay 14 Southview 1, 5 inn. Lima Senior 19 Cory-Rawson 6, 5 inn. Lima Senior 16 Cory-Rawson 4, 6 inn. Clay 15 Central Catholic 3, 5 inn. Clay 10 Lima Senior 0, 6 inn. Defiance 7 Findlay 6, 8 inn. Defiance 11 Findlay 1, 5 inn. Central Catholic 17 Lima Senior 7, 6 inn. Clay 12 Fremont Ross 2, 5 inn. Whitmer 17 Lima Senior 0, 5 inn. Whitmer 16 Fremont Ross 2, 6 inn. St. Ursula Academy 15 Lima Senior 0, 5 inn. Whitmer 15 Central Catholic 2, 5 inn. Notre Dame Academy 13 Clay 1, 5 inn. Findlay 14 Lima Senior 0, 5 inn. Clay 22 Lima Senior 0, 5 inn.